How to: How can you achieve luscious lips? Following on the top 5 makeup looks that men like for women from a few weeks back, number four on the list was luscious lips. To achieve the best looking lips, start with a good lip conditioning treatment which you can wear the night before to ensure your lips are soft and ready for makeup application the next day. When you are ready to apply your lip makeup, make sure you first neutralize your natural lip color with some foundation. This will ensure that the true color of your lipstick comes through. Then, define your lips with a lip liner that matches your lipstick color. For a more luscious look, you can apply the liner right above your natural lip line. For a more natural look, just follow your lip line with the liner. Next apply your lip color, but be sure to apply over the lip liner to achieve the most blended look. 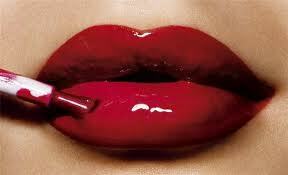 For more defined lips, you may reapply the liner after your lip color, if desired. Finish off with your favorite lip gloss. For a matte look which is very in vogue at the moment, apply a matching matt powder of the same or near the same color on top instead of gloss. Blush colors work really well. Finally, SMOOCH!!! « How to: How can you achieve the cat eye?